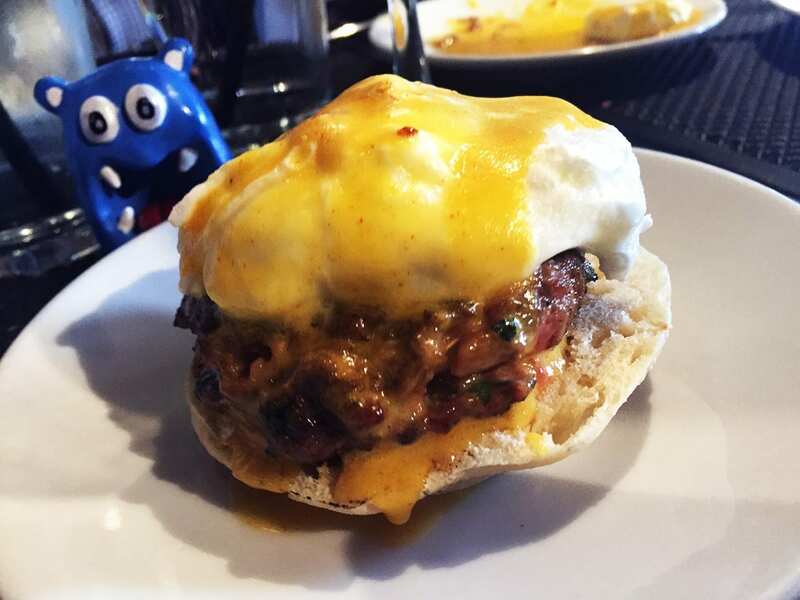 Unleash the running yolk of your unlimited brunch with Spicy Lamb Benedict from Cava Mezze greek tapas place on Capitol Hill near Eastern Market in Washington DC. 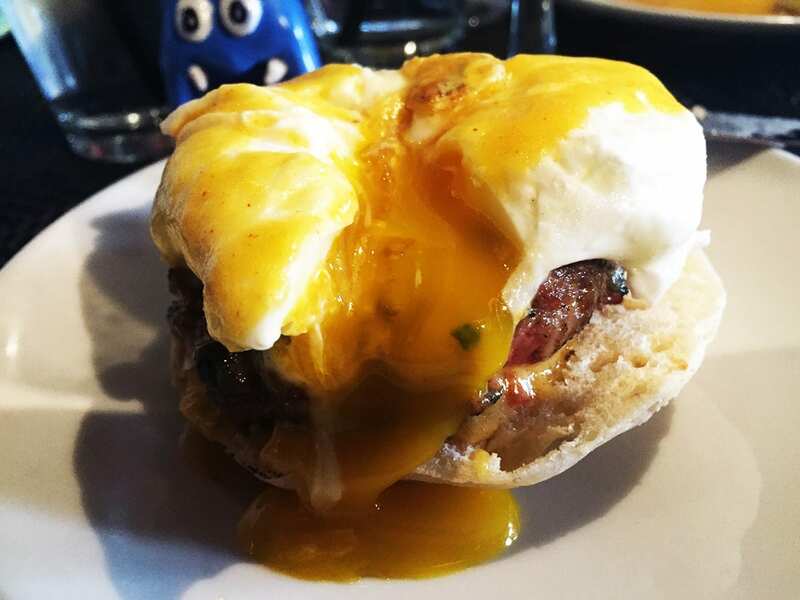 One of our most favorite thing about Eggs Benedict is the running yolk. When you crack open this egg there is enough yolk to cover the whole thing and then left for more. 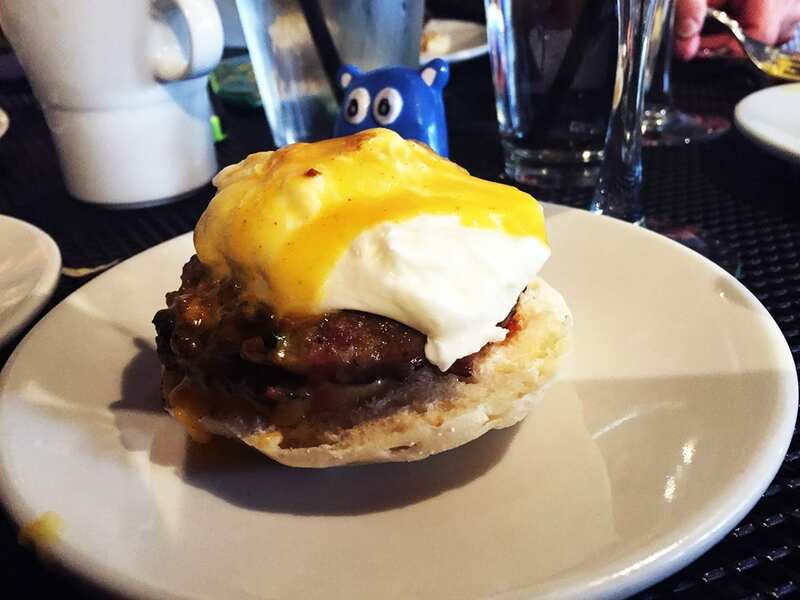 We like big eggs and we can not lie! All that on top of a big and juicy lamb patty. As you crack the egg and cut through the lamb all that yolk and juices mixed together. Not just spicy in name, it has a very nice kick to it, but not too much. Normally by itself, this cost $8, but best enjoyed during their unlimited brunch. Overall one of our favorite orders from a perfect Sunday brunch. The best way is to order all of their eggs Benedict and compare.